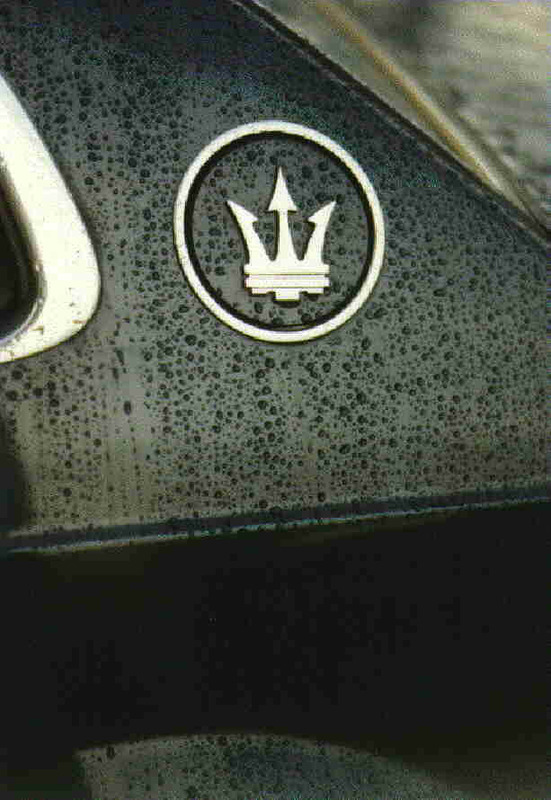 "The plethora of Maserati badges inside detracts from the tastefulness of the rest of the interior." "This could well be the car (for which read Alejandro de Tomaso) that puts Maserati back on the worldwide map." "Twin-turbo V6 gives strong mid-range punch, but economy is desastrous." "I'll have that chunky little body, that incredible twin-turbocharged V6 and the exclusivity over German aerodynamic efficiency any day." 23-01-04 This site is no longer maintained. 21-09-99 Text revised. Ads added. All opinions expressed on these pages are personal and may differ from your own or others' opinion. Pictures are copyrighted.